Hey guys! 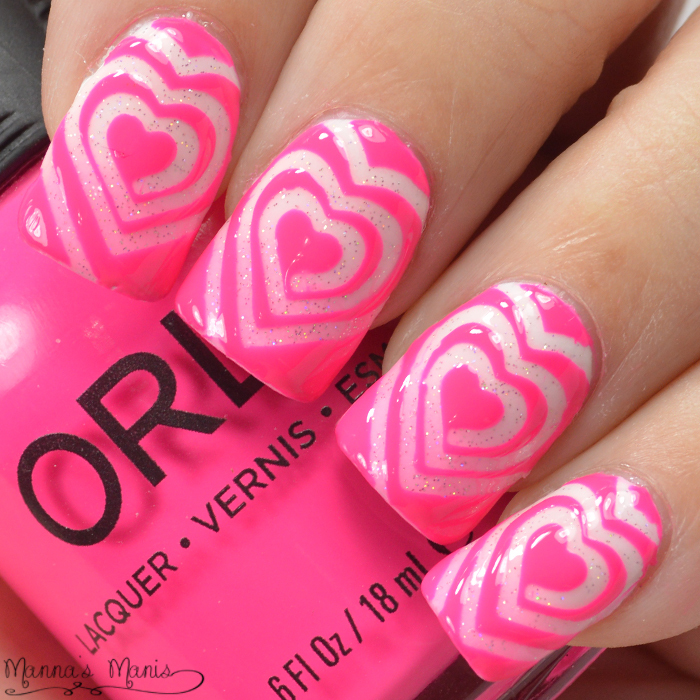 Valentine's Day is this weekend and what better mani is there besides hearts for Valentine's Day? 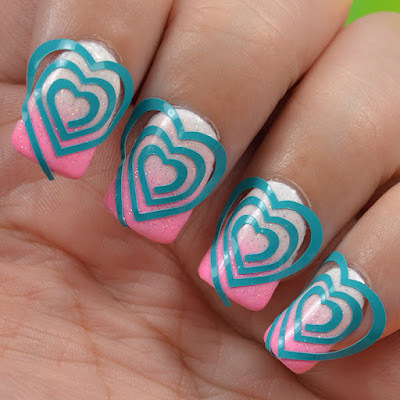 I finally got to use these cute heart cyclone vinyls from Twinkled T! I started off doing a gradient using Zoya Dot, Kitridge, and Snow White. I wanted it subtly but a little bit noticeable. I topped it with China Glaze Fairy Dust. I usually wait until the next day to do my vinyls because I got tired of them lifting up my polish. These decals were a little tricky for me because I've never used cyclone vinyls before. I kept trying to peel off the entire thing and place it on my nail, when in actuality there are 2 pieces of vinyl to peel and the outermost one you don't use. Someone correct me if I'm wrong. So after that noob moment it was easy sailing for me. I topped the vinyls with Orly Neon Heat. You can pick these up for yourself HERE. Do you have any plans for Valentine's Day?